The team at CRS Software is committed to innovation. As we pursue this goal, we’re always looking for ways to enhance the product experience, improve quality and reliability, and help farmers achieve their goals. Since 2008, clients have changed the way they use Cashmanager RURAL, with the majority accessing it online. We want to make sure we prioritise delivering the best possible experience to our clients, which is why we’ve decided to now focus our efforts on our online products. As we prepare to retire the desktop version, we have supplied information that will apply to your farm subscription. If your subscription renewal date falls on or before February 28, 2019, your final annual activation code will be supplied (dependant on your subscription renewal date). You will not be issued a new activation code if your subscription renewal date falls after February 28, 2019. Instead, your farm subscription will expire on the subscription renewal date and move into a Read-Only state. You can still look at information and print reports, but you won't be able to add new or edit existing information. 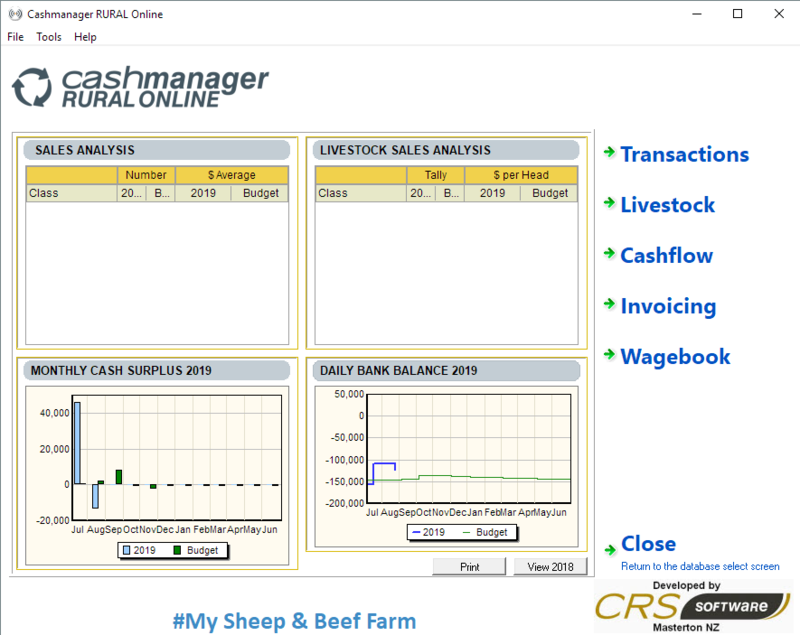 Cashmanager RURAL desktop will no longer be available to use or be supported by our team. To register online, click on the link above. Once you are registered, call our team on 0800 888 080 and we will take you through the next simple steps. Every month, the first 20 clients to transfer to Cashmanager RURAL online will be entered in the draw for a chance to win a $200 Farmers or Farmlands voucher. As technology progresses we, as a company are committed to keeping pace and setting the standard for innovation in farm financial software. Your data is stored in the cloud, no more backups! The best thing about moving to online is you're not learning a whole new system. Once you have logged into your database, the look and feel of Cashmanager online is identical to your desktop version. Read how longtime Cashmanager RURAL user Ruth Smith made the move from desktop to online and hasn’t regretted it. Dairy farming near Sanson, in the Manawatu, Ruth has been a Cashmanager user for as long as she can remember, having been recommended the product by their accountant when they started out. “ANZ (bank) held an event about Cashmanager and showed us the online version. I thought ‘this is the way to go’ and so we did,” she explains. Ruth found it simple and straightforward to switch from desktop to online and figured out how to do it herself. “I never regretted it for a moment,” she says.